Play On: Los Angeles Lakers +10. Reason: Your free play for Thursday, December 25, 2014 is in the NBA scheduled contest between the LA Lakers and Chicago Bulls. 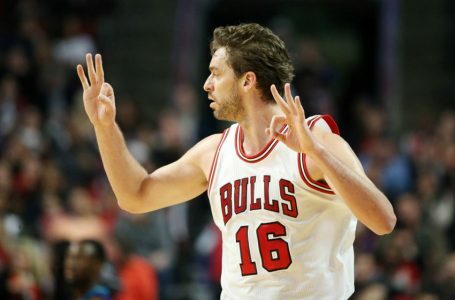 Pau Gasol plays his first game against his former team today when his Bulls host the Lakers. The Lakers are not very good, but they have been covering spreads, going 4-1 their last five (before Golden State game). On the road the Lakers are 8-6 ATS and actually have more wins (5) then they do at home (3). The Bulls aren’t quite as good as most people thought they would be, but at 18-10 in a weak East that is still pretty good. The Bulls used to be known as a defensive team. However, this season they have been scoring a lot of points. The Bulls have over 100 points in 11 of their last 13 games. That has translated to a 9-4 O/U record during that stretch. Lakers will be getting plenty of points here today. They seem to play better on the road and I’ll take the points with them here on Thursday. Your free play is on the Lakers.